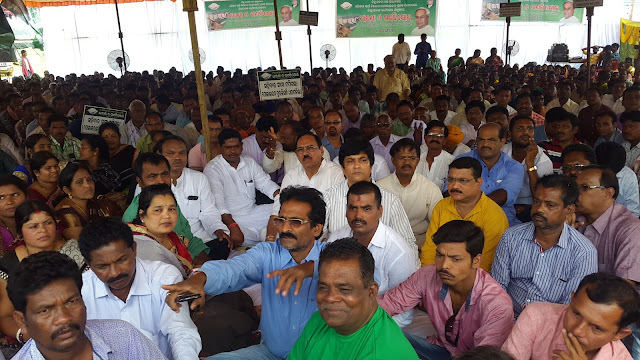 Nabarangpur-Online: Nabarangpur District BJD stage demo against Polavaram project. Nabarangpur District BJD stage demo against Polavaram project. 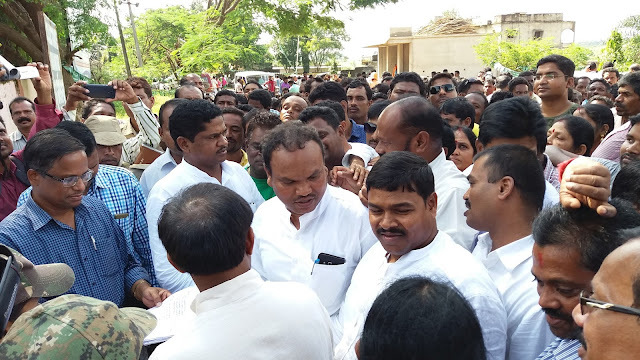 The ruling BJD in Nabarangpur staged a demonstration protesting against the Polavaram project in Andhara Pradesh in front of the collectorate here on Tuesday. The party submitted a memorandum to the President of India through the Additional district Magistrate Laxmidhar Das. Speaking on the occasion Commerce and Transport minister Ramesh Chandra Majhi, who is also the president of the district BJD said the Union Government’s support to Andhra Pradesh’s Polavaram project, if the project materialised in its present design several villages of Malkangiri district would be submerged and affect lakhs of people. The central government has accorded national status to the project and decided to bear all expenses which is against the intrest of Odisha, Majhi added. Nabarangpur MP Balabhadra Majhi said while the Polavaram case is currently sub-judice in the Supreme Court and SC has not yet directed to the Centre to provide funds for construction work of the project and the Centre would certainly respect observations of the court. The rally and meeting led by Former Rajya Sabha Member Bhupendra Singh, while MLA’s Manohar Randhari, Subash Gond, ZP President, Vice-Chairperson, chairman’s of blocks, ZP and Samiti members with hundreds of party delegates present. Over 2000 party workers participated in the stir. Muslim body protest March in Nabarangpur. 11 injured after bus overturns near Papadahandi.